Sou | 3:29 PM Feel free to comment! How to attach a vice to your head. 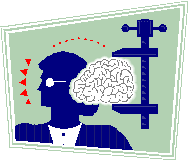 A little bit of denier weirdness, which is the norm at Anthony Watts' anti-science blog, WUWT. Put on your head vice first. How the greenhouse effect lowers surface temperature according to Gail. The highs get lower and the lows get higher with a net lower temperature. "Say What?" is right! This is from a long time reader of WUWT I believe. You'd think after years of reading about climate, even if only on WUWT, she'd have picked up the basics of the greenhouse effect. But no. Very weird. There are only two sources of heat. Sunlight and the heat from the core of the planet so the earth can not “gain extra energy” All a GHG like water vapor does is modify the temperature making the highs lower and the lows higher with a net lower temperature since some of the sunlight gets bounced back to outer space. This one's for Gail. Gail has made a logical fallacy of the non sequitur type. It does not follow from the fact that there may be two sources of heat that earth cannot gain extra energy. If Gail were to turn on the heater at home, would she say that her house cannot heat up because she has only provided one heat source? 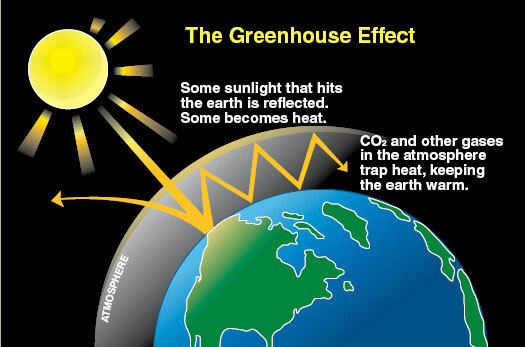 Greenhouse gases keep the earth warm. More greenhouse gas makes the earth even warmer. There's an excellent booklet on the subject by the Australian Bureau of Meteorology. Will the hysteria die down a bit? Where does WUWT find these Geniuses? Have all the deniers gone barking mad? What's that about 16 years? Since 1996, you say?